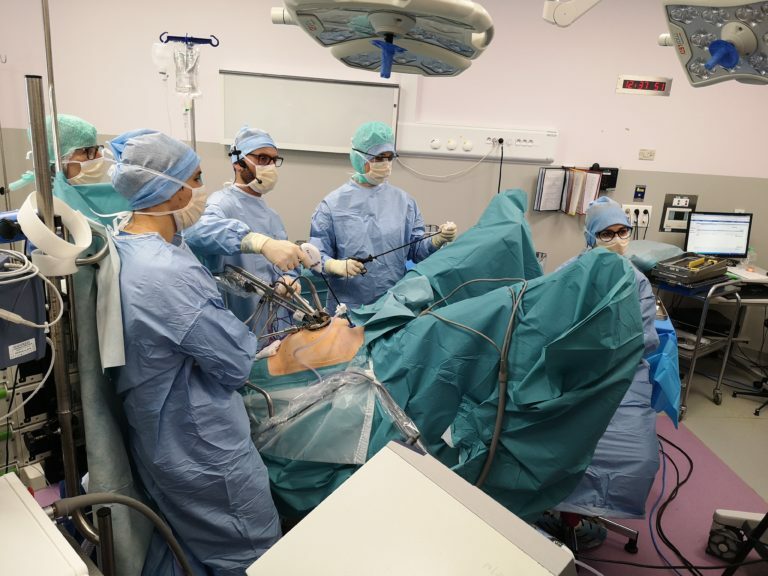 During the Congress “14ème Journées Daniel Dargent” in Lyon, Dr Michy from CHU Grenoble Alpes, performed a total hysterectomy during a live surgery using VIKY EP and VIKY UP. A stable camera positoning, an accurate and reproductible uterine manipulation as well as a very short set up time, allowed Dr Michy to realize the surgery in the optimal conditions. The same week, Dr Anup Kumar performed a partial nephrectomy during a live surgery using JAIMY Advance, in the Safdurjung Hospital in New Delhi, India.